OKLAHOMA CITY – A bill expanding Oklahoma’s agricultural options sailed through its first floor hearing and received unanimous approval in the Oklahoma House of Representatives this week. House Bill 2913 by Rep. Mickey Dollens and Majority Floor Leader Jon Echols creates the Oklahoma Industrial Hemp Agricultural Pilot Program. Under the Agricultural Act of 2014, the federal government enabled states to begin experimenting with growing hemp as a cash crop. The Oklahoma Department of Agriculture, Food, and Forestry will manage the program, which allows universities or farmers contracting with universities to cultivate certified hemp seed for research and development for industrial uses. HB 2913 creates within the department a revolving fund that will consist of all registration, lab, and inspection fees paid by program participants. The bill now moves to the Senate, where Sen. Lonnie Paxton, R-Tuttle, is the author. OKLAHOMA CITY – A bill aimed at preventing human trafficking passed unanimously off the House floor Tuesday. House Bill 2651 authored by Rep. Steve Vaughan, House Transportation Committee Chairman, permits the Commissioner of Public Safety to choose training material from Truckers Against Human Trafficking for education purposes for drivers applying for Class A, B or C commercial licenses. This will include training on recognizing, preventing and reporting human trafficking. The Commissioner of Public Safety is to regularly review and update the training to take into account changes and trends in human trafficking. The National Human Trafficking Hotline received 39 human trafficking case reports in the first six months of 2017. The organization also received 114 calls during the same time period. The bill now proceeds to the Senate, where Sen. Frank Simpson, R-Springer, is that chamber’s author. “House Republicans understand and share the frustration that our public school teachers are experiencing, and we remain committed to finding a way to increase teacher pay this session. Over the past 14 months House Republicans have passed numerous teacher pay raise bills, including the ‘1-2-3 Plan’ that would have provided a phased-in, $6,000 pay raise for teachers, and we funded the first phase of that plan in our budget last May. Last month, seventy-five percent of House Republicans voted in support of a $5,000 teacher pay raise in the ‘Step Up Coalition Plan,’ yet two-thirds of the House Democratic Caucus failed to support that pay raise. “Time and again, a large majority of our caucus has supported every revenue raising option to provide for a teacher pay raise – without much help from House Democrats. It is clear that House Democrats have no intention of helping House Republicans provide a pay raise for our teachers, and that we must use funding measures that do not require Democratic support to pass. “There are currently multiple options available to help provide a pay raise without requiring 76 votes and help from House Democrats, including House Bill 2403, which would provide $106 million and is awaiting a hearing in the Senate. Today, we passed a bill off the House floor that would provide an additional $22 million in revenue, and there are other ideas being discussed that could potentially help us fully fund a substantive pay raise for teachers this session. 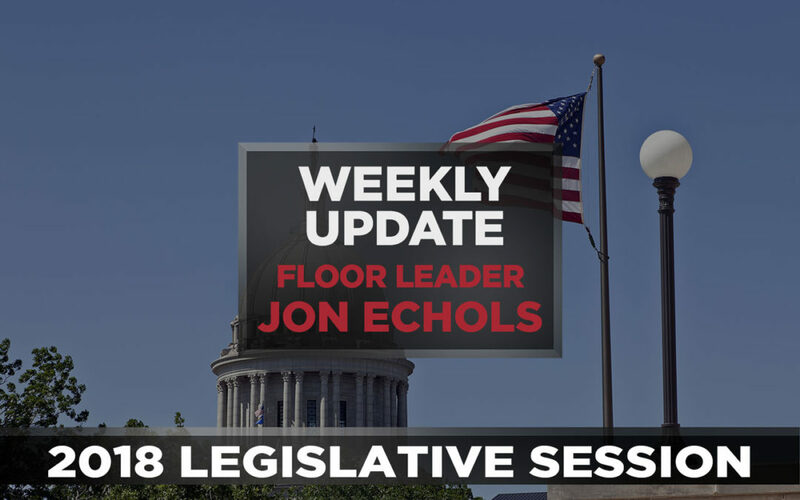 OKLAHOMA CITY – Floor Majority Leader Jon Echols (R-Oklahoma City) and Rep. Cyndi Munson (D-Oklahoma City) announced the formation of the Waiting List Caucus at the Oklahoma state Capitol. This bipartisan work group focuses on legislation that will annualize funding for Home and Community-Based Services (HCBS) waivers. Oklahomans with significant developmental disabilities can apply for a Medicaid funded HCBS waiver through the Oklahoma Department of Human Services (DHS). Federal dollars pay for a majority of the costs of these waivers while the state funds the remaining portion. To date, the state legislature has not appropriated sufficient funding, nor annualized this funding, resulting in a list of 7,600 Oklahomans waiting for waivers, which are prioritized by the date of application. The wait is longer than a dozen years for most. HCBS waivers provide much needed supports and services to individuals in community settings and are a more cost-effective and human alternative to institutionalization. The Waiting List Caucus was brought to legislators by parent advocates Wanda Felty of Norman, RoseAnn Duplan of Moore and Erin Taylor of Oklahoma City. All three now serve as family advisors to the caucus. Republican Brad Boles of Marlow will replace former Rep. Scott Biggs in the Oklahoma House of Representatives. Boles’ election brings the total number of Republican members in the House to 72. Democrats currently have 28 members. 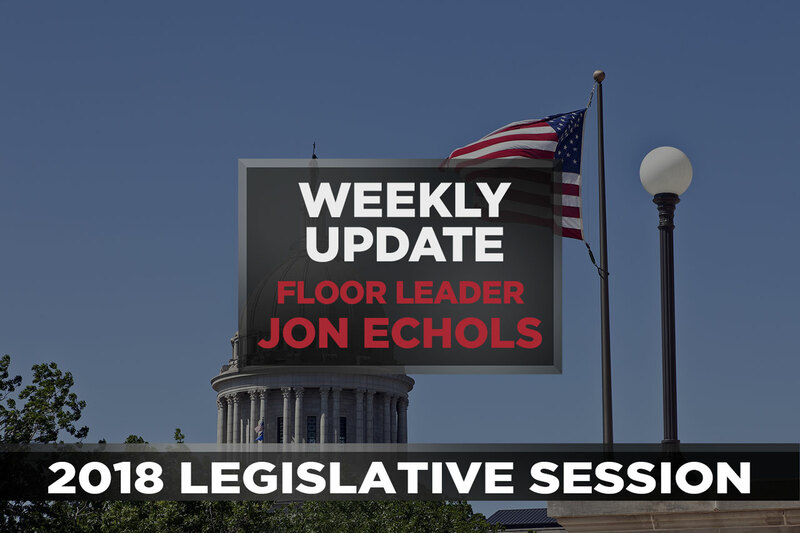 Lawmakers continued floor session work this week, hearing dozens of pieces of policy. All bills and joint resolutions must be out of their chamber of origin by March 15 to continue in the legislative process. OKLAHOMA CITY – Governor Mary Fallin today directed the Oklahoma Health Care Authority to develop a work requirement in the state’s Medicaid program. The governor’s executive order directs the Health Care Authority, which manages Oklahoma’s Medicaid program, to file any federal waivers and state plan amendments within six months to the governor and the Legislature. Fallin said the federal Centers for Medicare and Medicaid Services (CMS) issued guidance in January for states seeking to further the objectives of the Medicaid program by promoting work. CMS has approved proposals from three other states that promote work for Medicaid recipients – Kentucky, Indiana and Arkansas. Those under the age of 19 and over the age of 64. A parent or caretaker responsible for the care of a dependent child under the age of 6. A parent or caretaker personally providing the care for a dependent child with serious medical conditions or with a disability. Those receiving unemployment compensation and complying with work requirements that are part of the federal-state unemployment compensation system. Those participating in a drug addiction or alcoholic treatment and rehabilitation program. OKLAHOMA CITY – Governor Mary Fallin, joined by legislators, district attorneys and business leaders, today announced an agreement has been reached that will allow six criminal justice reform measures to advance in this year’s legislative session, as well as develop a coordinating council to oversee future criminal justice reform efforts. Work on five of the six bills began last year, but failed to advance. Agreed changes will be made to all six bills, five of which remain in conference committee. Business leaders also praised the agreement. Supporting criminal justice reform efforts to strengthen the workforce and protect public safety while decreasing costs within the state’s budget is a priority of the State Chamber of Oklahoma. The Greater Oklahoma City Chamber has been a strong advocate for legislation and funding for sentencing reforms and rehabilitation programs to ease the financial drain on Oklahoma’s criminal justice system, lessen the burden on jails and prisons across the state and allow non-violent offenders to enter the workforce more quickly. House Bill (HB) 2281 which would create a tiered structure for property offenses, based on dollar valuations, with lower ranges of punishments. HB 2286, which would create a streamlined administrative parole, as well as a more comprehensive aging and medical parole. Senate Bill (SB) 649, which would target the nonviolent offenses that are driving up incarceration numbers with a new sentence enhancement structure for second and subsequent convictions. Pending legislation that would retool the drug structure, doing away with draconian penalties of the war on drugs, and bases possession with intent to distribute based on weight.